Section 352 of the Fair Work Act prohibits an employer from dismissing an employee simply because the employee is temporarily absent from work due to illness or injury. When an employee is temporarily absent but provides a medical certificate or statutory declaration about an illness or injury, the temporary absence is allowed. Employees are entitled to 10 days paid leave every year. This accrues and accumulates. On the other hand, an employee is entitled to 2 days of unpaid carer’s leave if illness or injury affects the member of her family. But what happens when an employee has not yet been working for a year and yet, takes fifteen days of absences? If that employee is sacked for taking too much time off from work, will the sacking be considered an adverse action? A union organizer was hired by a Union on 19 May 2014. In July 2014, the union organiser’s health deteriorated. Her father also suffered health issues at the same time. As she was her father’s primary carer, she took time off from work to attend to him as well. She was absent from work for 16 days in total. She worked a total of 22 weeks and was terminated in October 2014 for taking too much time off from work. She filed a claim with the Fair Work Commission alleging that her termination from work was for a prohibited reason. She claims that her exercise of a generally protected right to be temporarily absent from work was the real reason for her termination. She also provided evidence that her absences from work were supported by a letter from her doctor who advised her to take rest while she was undergoing tests to determine her medical condition. The Union filed a motion for summary dismissal of the application. It claimed that the union organiser had no reasonable chance of success to prosecute her claim. The union organiser had used up all her entitlement to personal leave and in fact, she had a deficit of leave accrued. She was absent for 16 days during her whole employment when she was only entitled to 0.38 days of paid personal leave because she had not been employed for a year yet. In deciding against summarily dismissing the application, the FWC explained that the entitlements of 10 days of paid personal leave for each year of service under section 96 of the Fair Work Act and even under the National Employment Standard (“NES”) were minimum entitlements and these do not prescribe a maximum entitlement. Thus, even when a worker is not entitled yet to 10 days’ leave because they had not yet worked for a year for an employer, the employer may allow the employee to take unpaid leave. 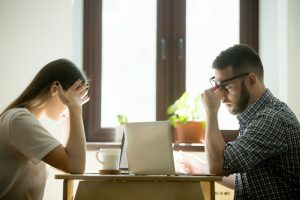 Whether the Union had given consent to the employee to take sick or unpaid personal leave is a question that can only be threshed out at trial. Also, whatever defects that the application or the statement of claim suffered from, these can still be remedied. These considerations do not raise the inference that the application had no reasonable chance of success if prosecuted. Have you been sacked for taking “too much time off from work”? Do you wonder if your termination from employment may be an adverse action by your employer? Would you like to speak with our Adverse Action Lawyers? The employment lawyers at MKI Legal can help clarify your questions. Call us today.